Narrative: Donor said that this was his wife's grandfather's Carmen Brookbank of Muskoka Ontario. Carmen served in the First World War and was heavily gassed. His doctor told him to enjoy this passion of hunting and fishing outdoors, especially in the Winter and believed that his suggestion to keep active outside saved his life. He lived to 90 years of age. It must have been that Carmen had the date wrong in his message as we know the Armistice was signed on November 11. 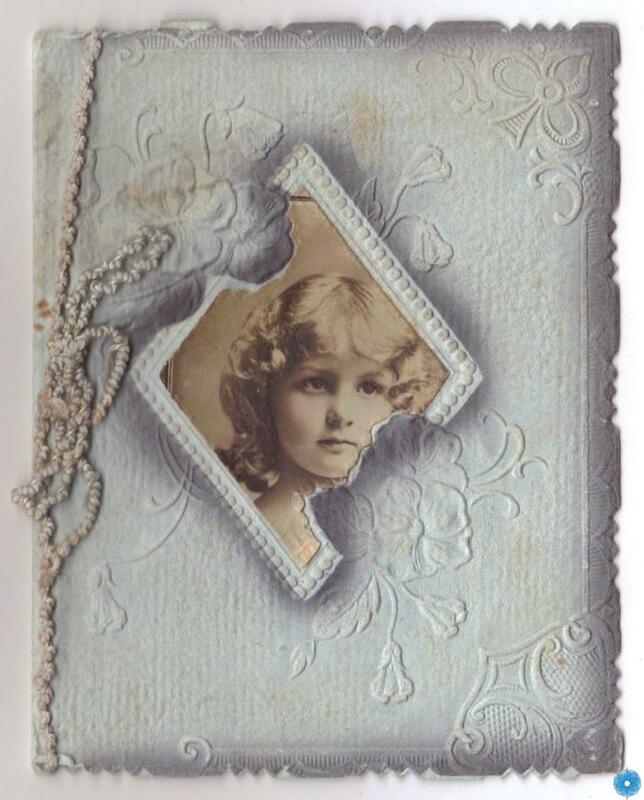 Description: A pale blue Christmas card with embossed paper front with sepia toned portrait of little girl's face on the front; With blue cord at left hand opening; Inside is an insert paper with 'Best Wish and all Kind Thoughts for Christmas and the New Year" as well as a short poem under "Christmas Wishes" and is signed by known soldier; On front of insert is a handwritten note "Nov. 10 /18 Armistic signed 5oclock this morning "